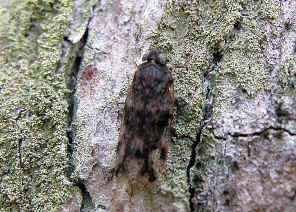 This planthopper is mottled dark brown colour. Pictures were taken on Jan 2005 in the rain forest near Mt Nebo. 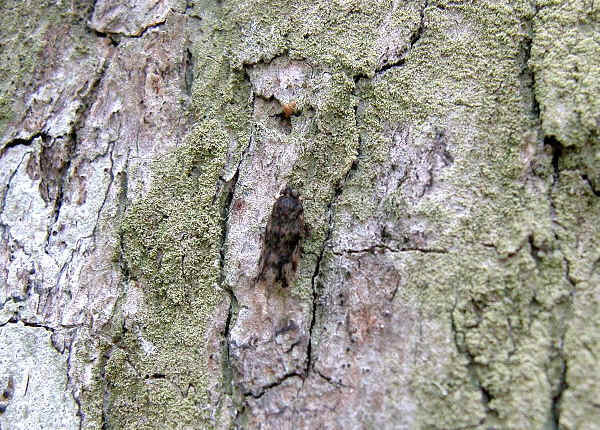 This could be a rare species for it was first described in 2006 (see reference 3). 1. Mnemosyne alexandri Löcker - Fletcher, M.J. and Larivière, M.-C. 2006. 2. Species Mnemosyne alexandri Löcker, 2006 - Australian Faunal Directory, Australian Biological Resources Study. 3. 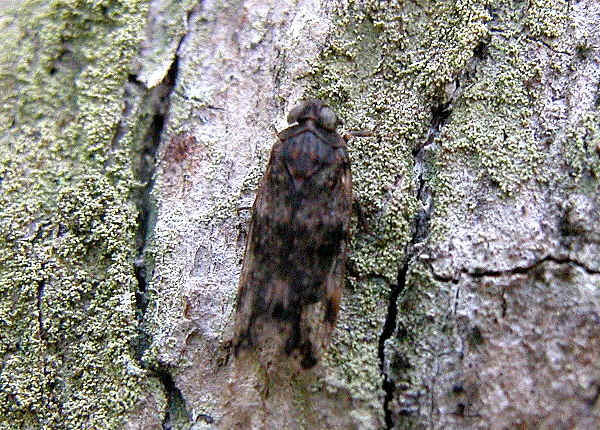 First record of the planthopper tribe Mnemosynini in Australia with the description of two new species (Hemiptera: Fulgoromorpha: Cixiidae) - Löcker B., Fletcher M.J., Gurr G.M. 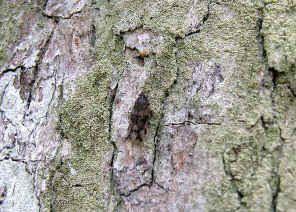 2006, Russian Entomol. J. Vol.15. No.3: 287–294 [in English].